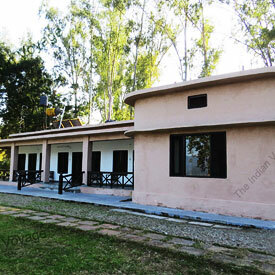 Our packages starts & ends at Ramnagar (Corbett Tiger Reserve Office). In case if guest is looking for pick up from any particular resort or place we can customize package as per their requirement. 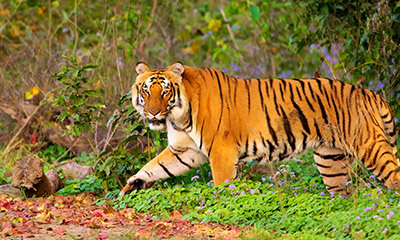 By road – Dhikala, Corbett National park is around 300 kms from Delhi. 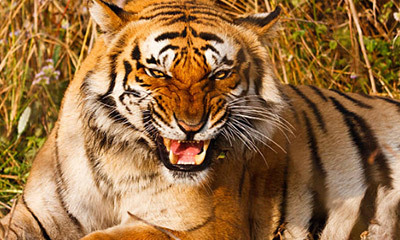 It takes approx 6 hrs to reach Dhikala from Delhi. 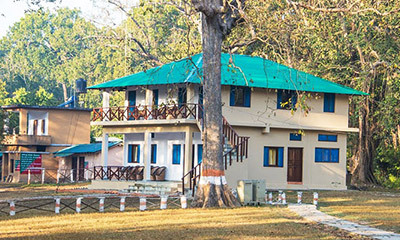 By Train – Ramnagar is the nearest railhead to reach Dhikala. 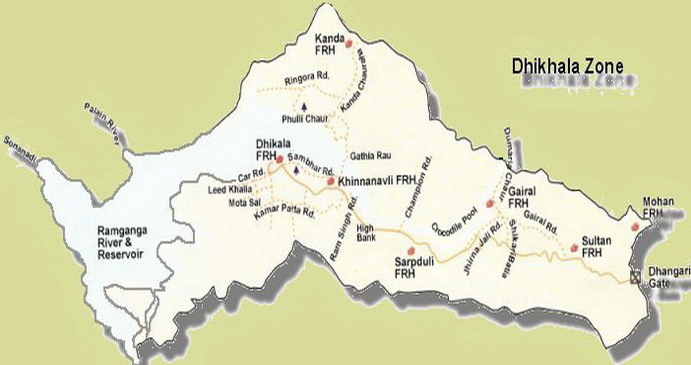 Dhikala entry gate is around 32 kms from Ramnagar railway station. Ramnagar station code is RMR. 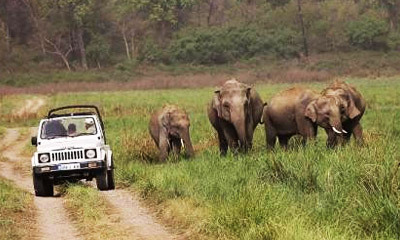 By Air – Pantnagar is the nearest domestic airport to reach Dhikala, Corbett National park. 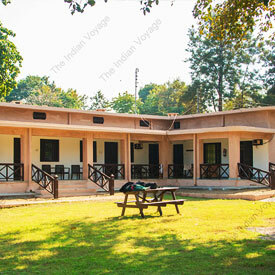 It is only 50 km away from Corbett Park. Delhi is the nearest International Airport at a distance of 300 km. 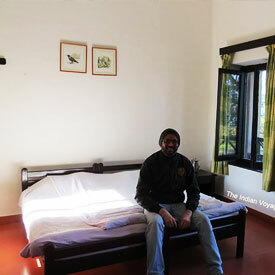 Nov – Mid Dec – If you are planning to visit Dhikala from Nov to Mid Dec, then carry light woolen clothes. 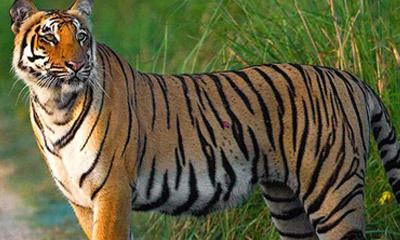 Mid Dec – Feb – If you are planning to visit Dhikala from Mid Dec to Feb, then carry heavy woolen clothes, especially jackets, mufflers, hand gloves & cap (woolen). 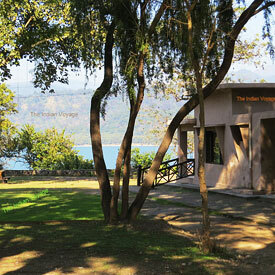 March – April – If you are planning to visit Dhikala from March to April, then carry light jackets, sweaters etc. May –June – If you are planning to visit Dhikala in May or June, then carry loose cotton clothes which absorb sweat very easily. Also carry sunscreen lotions, sunglasses & caps for protection from sun. Dhangari gate is the main entry gate to reach Dhikala. One can enter into Dhagari gate from 06 am till 04 pm only. After 4 pm entry will not be allowed & booking will be cancelled & no refund would be provided. No. 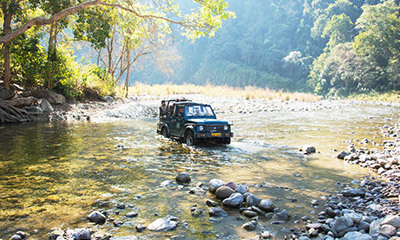 of members – One jeep can accommodate maximum 6 adults. Considering luggage with guest we would recommend to take 2 jeeps, if there are more than 5 adults.